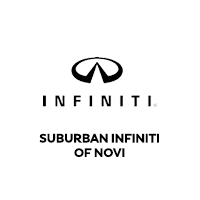 Customers in the Novi, Michigan area always have a place to go when they’re ready to pick out their family vehicle. Our wide selection of used cars has been carefully selected to match the needs of our customers and fully inspected by certified auto mechanics to ensure that they meet our high standards. Buying used doesn’t mean buying a subpar vehicle. When you buy used from a dealership like ours, you’re buying a high-quality car that will serve you and your family for years. And we always offer tremendous extended warranty options to help save you money on repairs. Make sure to check our selection often! We’re constantly adding new used cars to our inventory. Depreciation is one of the worst things about buying new, and it’s one of the prime advantages of buying used. New cars depreciate in value so quickly that you’re losing a ton of value just by driving the new car off the lot. And don’t forget those hefty advertising fees you pay on new cars! When you buy used, you’re paying for the true value of the vehicle, and it depreciates in value much less quickly than a new car. Lower depreciation isn’t the only reason to buy used, though. Down payments can easily be so hefty on new cars that it disqualifies you from owning some of the absolute newest models. Go just a year or two used, though, and you’re getting just about the same advanced tech and safety features, the same basic design, and often an even better model class year, all for significantly less on the down payment and monthly payment. One of the biggest reasons people buy used is that they can still get a state of the art vehicle without having to sacrifice other areas of their lives and wallet. A lot of dealerships sell used vehicles, but they don’t take the time and care that we do in selecting which cars go up for sale and which ones don’t. Thanks to our dedicated staff of certified mechanics, we are able to determine which used cars are going to be the highest quality and best value for our customers. If we didn’t pick out quality used vehicles, we wouldn’t be in business very long! So rest assured, if you see a used vehicle on our lot, it has been given a multi-point inspection to make sure that all major and minor components of the vehicle are going to serve you well over the years. This means a lot to our customers. As a staff selling used vehicles, it’s up to us to make sure that our selection lives up to the high standards of our customers. Thanks to our dedicated service team who inspects our used cars, we’re able to confidently sell you the used cars that we do, and you can confidently buy from us. We have a huge selection of used vehicles just waiting for you to begin your search. Among this large inventory, you’ll find the perfect used car for your needs. We pack each and every listing with as much information as possible, a vehicle history so that you can make an educated buy, and a host of financing options so that you get the right value for you. If you’re ready to get started, just browse through our used inventory or enter the different things you’re looking for in a used car (price, mileage, vehicle history, etc.). Happy shopping!